Where do I begin? 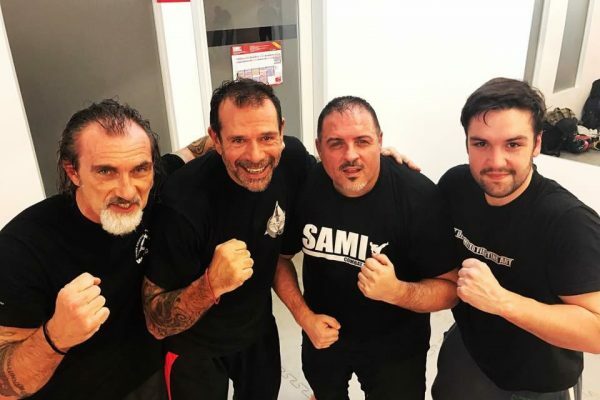 Training at SAMI has changed my live for the better. I can’t put into words how thankful I am to be a part of this family. I am originally from Belfast, Northern Ireland in the United Kingdom. My first discovery of Peter Weckauf was through YouTube. 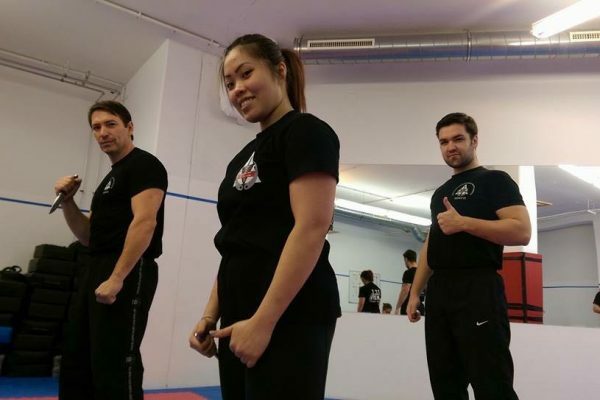 At the time I had been training in the Filipino martial arts, which I had an undying love for. 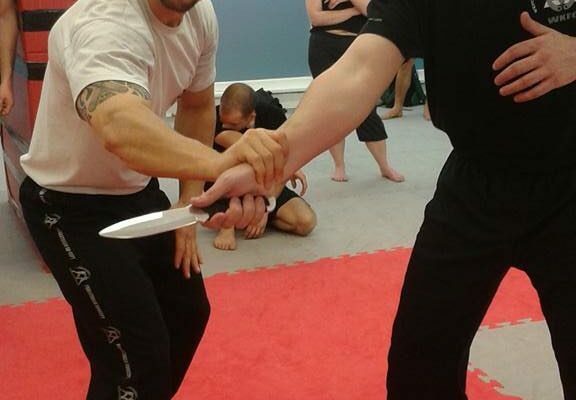 I was hoping to work my way up to teach it one day and my favourite area was the empty-handed sub system, which is commonly referred to as Panantukan. Upon searching Panantukan videos on YouTube I discovered none other than Peter Weckauf and all I can say is that I was blown away by what I saw. The content was so much more explosive and practical than anything I had previously learned and in that moment I was hooked on his videos. 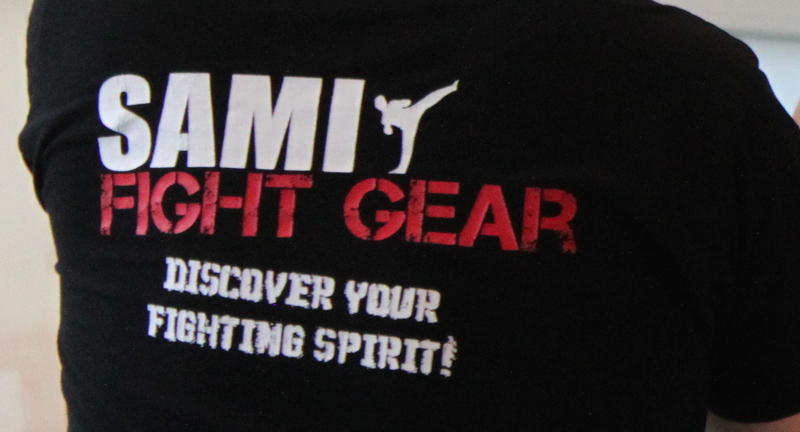 Krav Maga, Panantukan, Knife fighting, Stick fighting, Tomahawk fighting, Every day object self defence, you name it, it was all there. I had never seen anything like it. I then contacted Peter on Facebook and introduced myself, explained and asked him more about what he did. 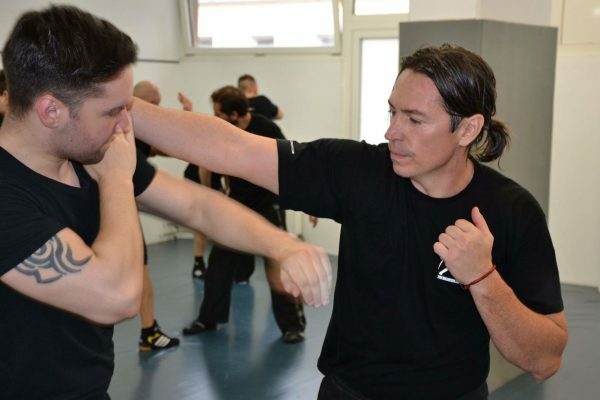 He was very quick to respond and told me that what he teaches is his own concepts. Amazed by that information I asked about the process of instructor training. 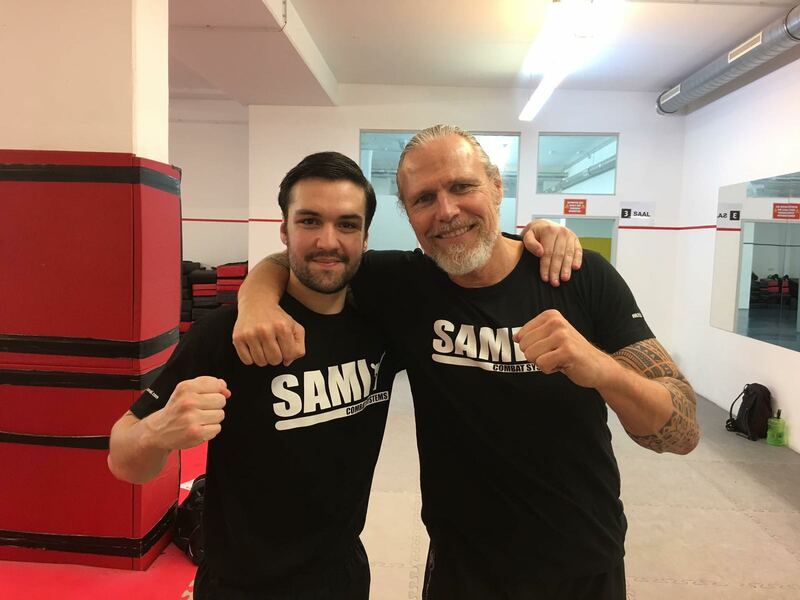 He kindly invited me over to Vienna to train with him to become an instructor and said at that time he had no instructors in the UK so it would be a good chance to become the first. 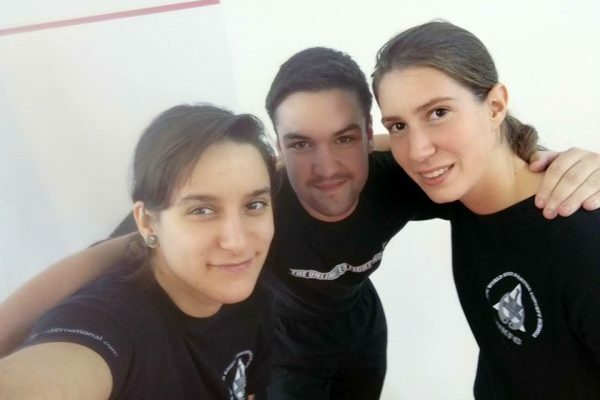 I consulted Julie Vianzon, my partner and training partner at the time. 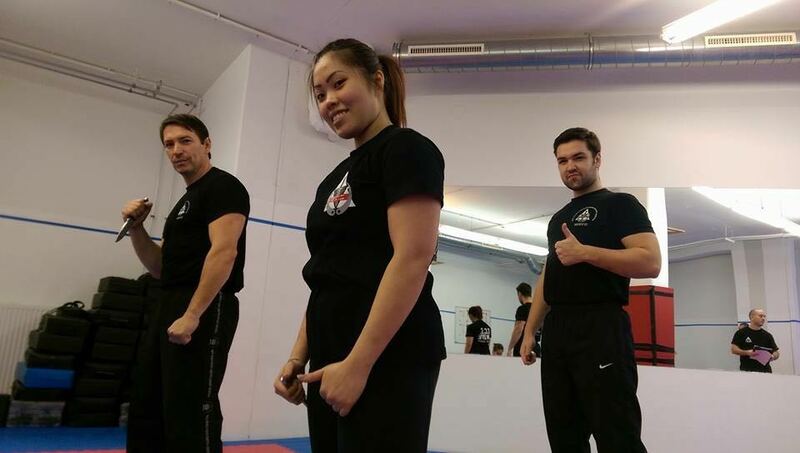 I had introduced Julie to the martial arts and encouraged her to take the same path. After careful consideration we decided “let’s do it” – so there: at the age of 21 I was going to Vienna, but we weren’t planning to stay for a week or so. We planned on a 5 month stay! 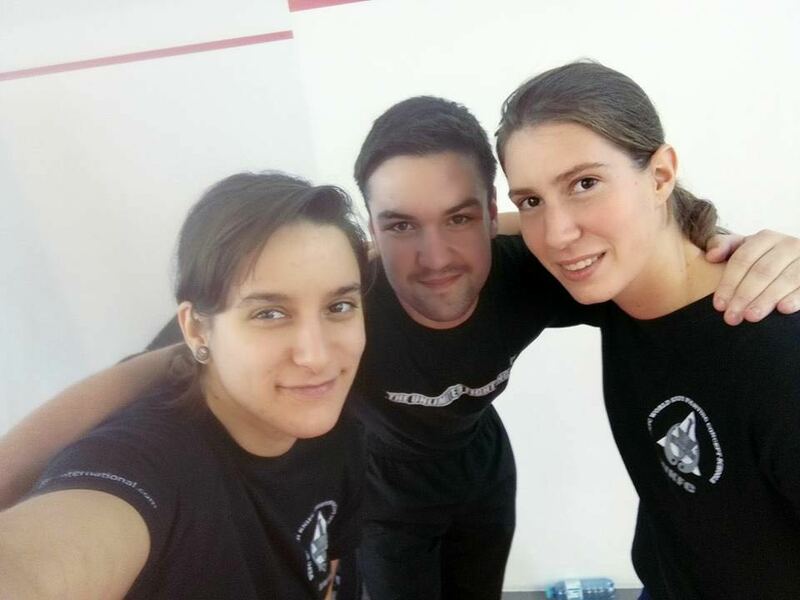 Training began almost instantly. 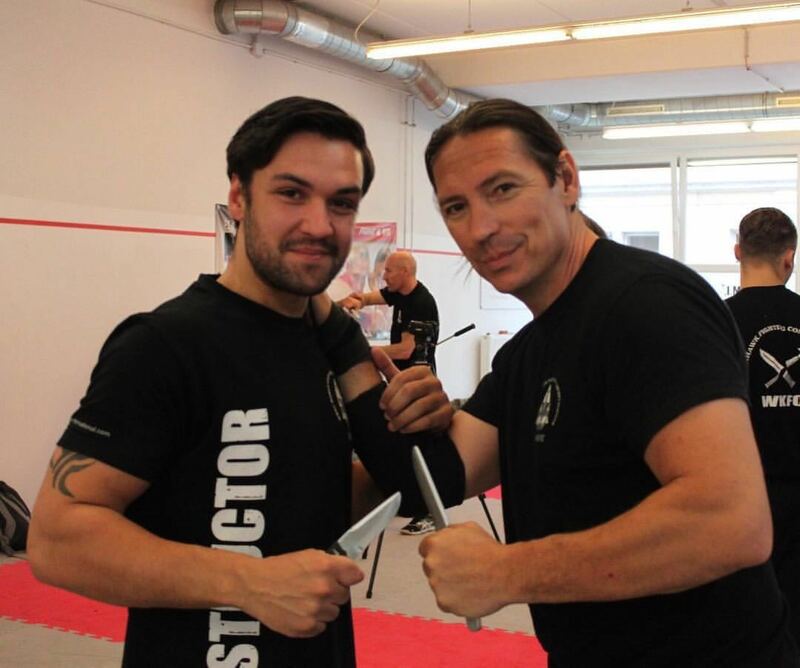 Upon beginning we met other instructors such as Robert Exl and Georg Platzer who I took an instant liking to. 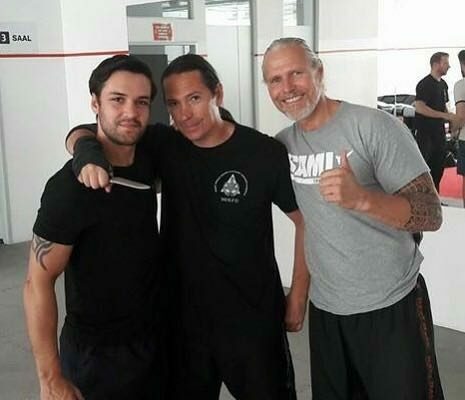 These two guys are two of the best instructors in SAMI and not to mention absolute gentlemen. Everyone was so friendly including peters wife Irmi who we met shortly after. 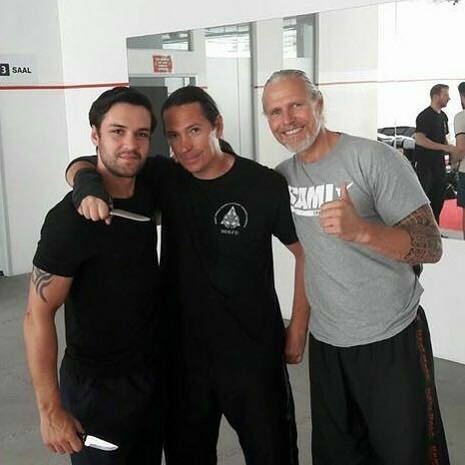 Training consisted of attending the regular stick, knife and Panantukan classes, countless private training with Peter himself to get a more in-depth learning and understanding of the systems and intensive courses towards the end of our stay. 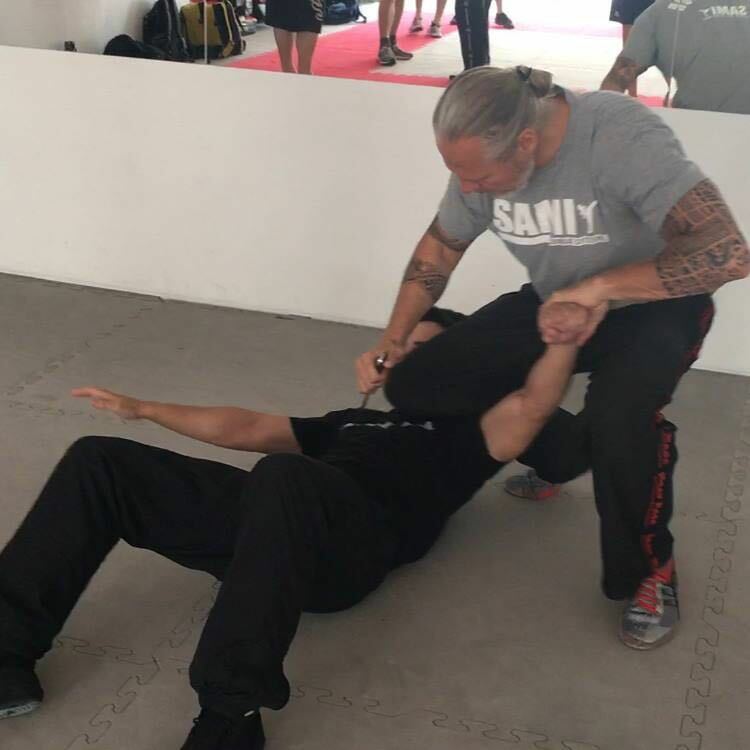 For 5 months straight we trained and we trained hard, which at the end of our trip was awareded by getting a teaching certification in SAMICS Panantukan Concept and Knife Fighting Concept AND the honour of being the first in the entire UK to be able to teach these systems. Moving to Vienna was a massive risk to take. We didn’t know what to expect or if it was even going to be what we thought it was but we took the risk. If you don’t take risks you will not learn and you will not grow. If you want to make changes in your life then you have to be willing to step out of your comfort zone and make those changes happen. 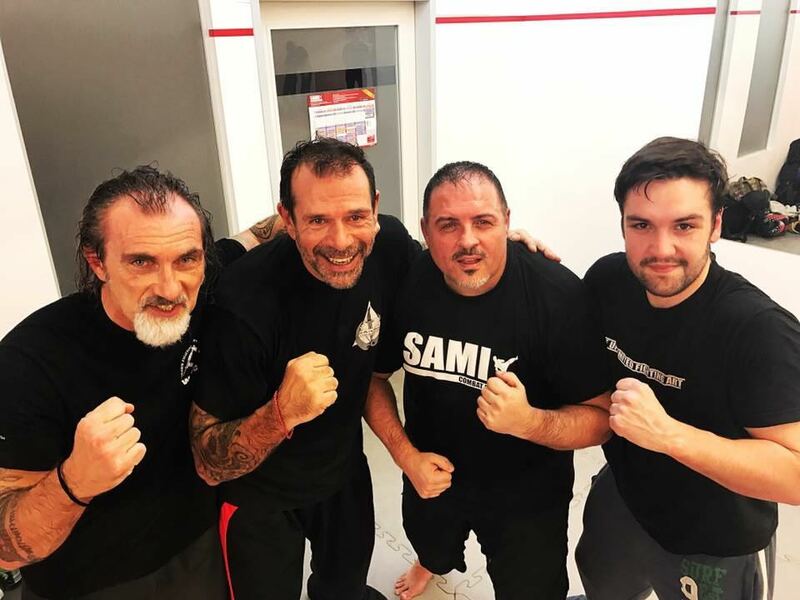 Peter and the entire SAMI team are not just people I train with. They are people who I look up to, people who motivate me, people who have helped me grow and people who’s friendships I hold close. 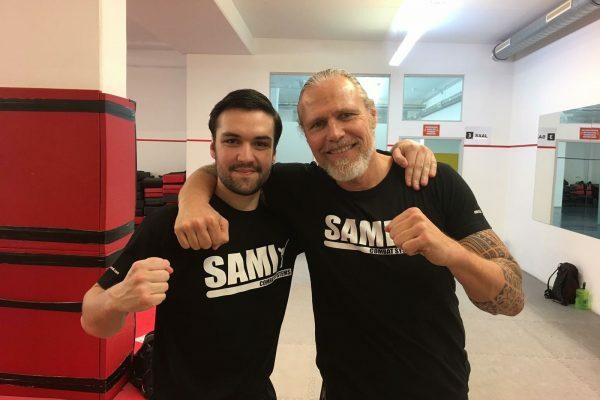 I have also met some fantastic people who also train at SAMI from other countries such as Germany, Switzerland, Italy, Czech Republic, England and the USA. Once again being a part of the SAMI is a privilege and I am so thankful for the opportunity to be a part of it and my journey at SAMI continues. 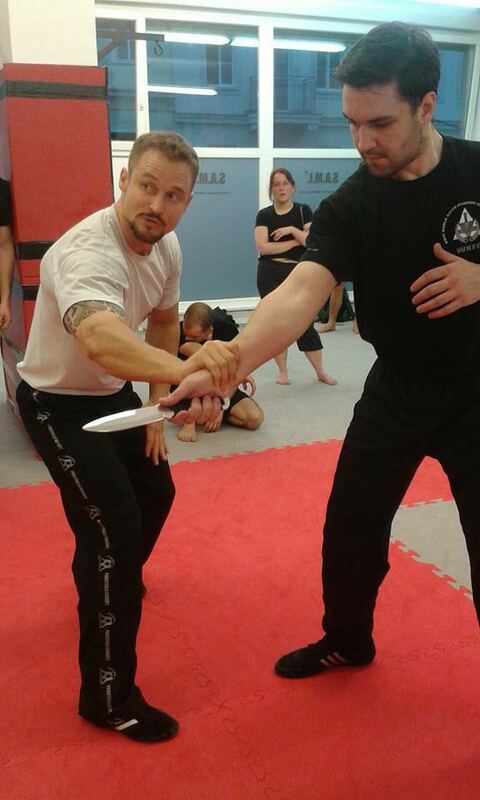 runs SAMI Belfast since 2016 and studies Martial Arts over ten years now, being especially enthusiastic about the Filipino Martial Arts. 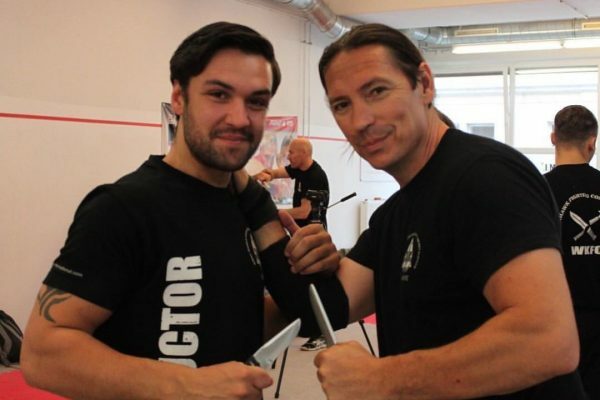 He also studied in Pencak Silat, Krav Maga, Wing chun, boxing, Muay Thai and Capoeira.